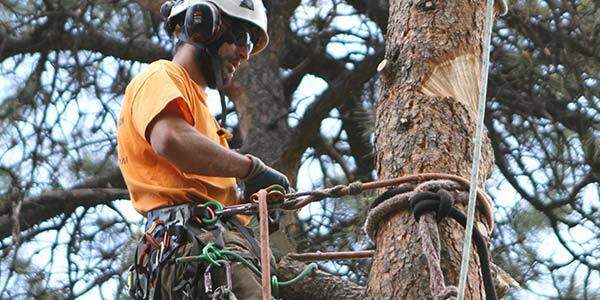 The ISA Certified Arborists at Splintered Forest are licensed and insured to address your tree removal and tree trimming needs. Not only does our crew routinely work in Englewood and Greenwood Village, but they also live in these areas so they understand unique challenges you face as a homeowner. Whether you have a tree that needs to be removed, trimmed or you are concerned it may be diseased, the Splintered Forest crew has the experience and expertise to help. The crew at Splintered Forest understands that one, predetermined solution doesn’t work for every property. That is why our ISA Certified Arborists visit every property and provide homeowners with a free, written estimate for the suggested work. Let the Splintered Forest crew help you with your tree removal, trimming or crane project. Give us a call today! If you live outside of these areas, please Contact the Splintered Forest crew to discuss our Extended Service Area and available options.